The Army is firing off its new Stryker-mounted 30mm cannon to qualify the weapon, assess new airburst ammunition and prepare the infantry carrier for a wide range of anticipated high-intensity future combat contingencies. Several prototypes of the emerging 30mm armed Stryker Infantry Carrier Vehicle, called the Dragoon, have been received by Army developers as part of a long-term “Stryker Lethality” program. The new weapons are designed to support infantry units on the move in major combat, assist ground formations in armored warfare, identify and destroy ground and air threats from greater stand-off ranges and better enable the Army to succeed, if necessary, against near-peer adversaries in a massive, mechanized major power warfare scenario. A fast-changing global threat scenario, which includes the emergence of Russian aggression and accelerated Chinese military modernization – along with rapid global proliferation of attack drones and longer-range precision-guided weapons – led the Army to fast-track an Operational Needs Statement (ONS) effort to quickly design, integrate and deploy a much more lethal, high-tech, combat-capable Stryker vehicle. .
“The Stryker Lethality ONS effort is going extremely well. Vehicle build is ahead of schedule, gun and ammo are in qualification, all eight prototypes have been delivered, and the first production vehicle will is on the line at Anniston Army Depot,” Ashley Givens, spokeswoman for the Army’s Program Executive Office Ground Combat Systems, told Scout Warrior. Current qualification efforts including firing the Kongsberg MCT-30mm weapon system and refining preparations with an overall Stryker integrated technical system to include an unmanned turret, sensors, Commander’s station, remote weapons station, airburst ammunition, upgraded driveline and hull modifications, Army developers told Warrior. “Not only does this provide improved firepower, it also enhances vehicle survivability by providing stand-off against potential threat weapons,” Givens said. 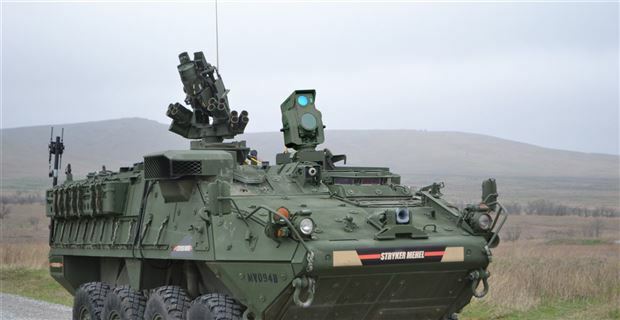 Gunnery training and user evaluations designed to familiarize Army soldiers with the emerging weapons platform is a large part of ongoing preparation for the eventual deployment of the 30mm Stryker, slated to deploy to Europe with the Army’s 2nd Cavalry Unit early next year. Weapons developers with Stryker-maker General Dynamics Land Systems have been working closely with Army soldiers on these training and preparation activities, working to solicit soldier feedback and make adjustments as needed. “The 30mm does not change the mission of moving a nine-man squad from point to point amid dangerous combat circumstances. The 30mm upguns the vehicle to enhance mission possibilities without changing the core mission,” said Wendy Staiger, Stryker Program Director, GDLS, told Warrior. Many US military and industry weapons developers, those conducting threat assessments, analysts and technology observers believe the enhanced lethality Stryker could greatly impact a broad landscape of factors informing future land war – particularly for infantry, maneuver warfare and joint air-ground operations. A senior Army official told Warrior that, in addition to bringing a far-superior ground-combat weapon to the vehicle, the Stryker-integrated 30mm cannon could also function as a ground and air-defense countermeasure in some combat circumstances. The senior Army weapons, doctrine and tactics developer explained these Stryker combat-upgrades in terms of a wide-ranging technology “mash up” including sensors, countermeasures, fire-control system and next-generation ammunition able to destroy a wider range of enemy targets. One analyst who closely tracks emerging technologies, weapons programs and potential threats to the US military specified aerial attacks as a fast-growing area of great risk to Army ground forces. “The most important new threat U.S. combat vehicles will face from overhead on future battlefields is unmanned aerial systems -- drones. Their low cost enables an enemy to fill the sky with unmanned systems carrying anti-armor weapons, while their small size and low altitudes would make interception by friendly tactical aircraft very challenging,” said Loren Thompson, Chief Operating Officer, The Lexington Institute, a Wash. D.C.-based think tank. In essence, the Stryker’s 30mm cannon could operate as part of a broader, integrated weapons strategy – aligning with commensurate Army efforts to quickly develop and test Stryker-mounted, drone-killing laser weapons and a wide range of potential Short Range Air Defense, or SHORAD, weapons options. “The intent of these upgrades is to provide sufficient fire support for infantry and scout Soldiers as they dismount in close proximity to the enemy or while mounted,” Givens said. A new airburst round for the 30mm cannon, using a “proximity fuse,” is regarded by Army and industry developers alike as a substantial combat-enhancing innovation of great relevance to the Stryker lethality program. By being able to detonate near or in the vicinity of enemy targets, and not needing to purely rely upon point-detonation or impact explosions, airburst ammunition massively widens the target envelope - enabling the weapon to fire through windows, attack enemy drones and hit aircraft without requiring an exact intercept. Airburst weapons can destroy enemies behind rocks or walls, the senior Army official said. Airburst often relies upon laser rangefinder technology, a method of calculating the exact distance to a desired target area. The Army XM 25 airburst weapon, used effectively against Taliban fighters hiding behind walls in Afghanistan, relies upon laser rangefinder technology. Since the speed of light is a known entity, and the time of travel is also quantifiable, an algorithm is then able to precisely calculate the distance of an enemy target area – thus accurately targeting the round, according to Army scientists. The last time the Army qualified a new ground, direct-fire weapons system was when the M256 cannon was integrated on the M1 Abrams tank in the 1980s, service officials said. The entire Stryker lethality initiative is operating on a massively accelerated acquisition timeline in order to address fast-moving threats and circumvent or shorten certain acquisition procedures at times thought to encumber the development and deployment of new technologies. Many specific milestones or procurement processes are often reserved for longer-term developmental weapons programs, whereas urgent needs or Operational Needs Statements are pursued intensely by industry and Army acquisition officials when pressing threat circumstances emerge. Accordingly, the need for a more lethal Stryker was considered urgent. “The 30mm lethality upgrade from funding receipt to first prototype delivery spanned a scant 15-months and included design, build and integration,” Givens said. Other widely known rapid acquisition programs included Mine Resistant Ambush Protected Vehicles, MRAP All-Terrain Vehicles and a specially configured Stryker double-V hull design – all quickly developed and deployed to protect soldiers from roadside bombs, IEDs and other kinds of attacks. Industry innovation is often a key ingredient informing this calculus as weapons and technology developers, in many instances, use internal research and development efforts to address emerging threats and engineer new technologies and applications. “We are trying to anticipate the next set of needs and look at what additional enhancements we can offer,” Gordon Stein, Vice President of Stryker & Specialty Wheeled Vehicles, GDLS, told Warrior in an interview. 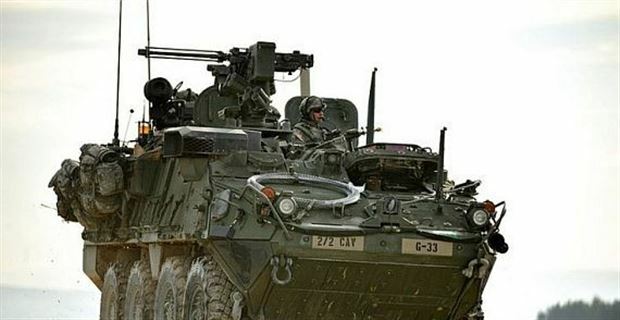 In July 2015, the Army approved a Directed Requirement to increase lethality for 81 Stryker vehicles for the 2nd Cavalry Regiment to provide Stryker Brigade Combat Teams with direct fire support to its mounted and dismounted infantry. 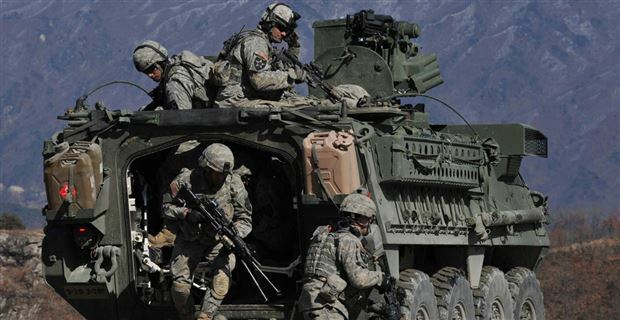 Army statements said the need became increasingly evident to the Army given increased aggression in that region against a backdrop of limited U.S. Armored Forces remaining in Europe. Overall, the fast-moving threat environment in Europe, in light of Russia’s annexation of Crimea and activity in the Ukraine – was by no means lost on Pentagon and Army leaders. In fact, the stepped up Russian activity inspired a multi-billion dollar, large-scale NATO and US European Command “European Reassurance Initiative” designed to add funds and forces to Europe; the effort also included a sizeable uptick in combat mobility demonstrations and joint-training and interoperability exercises with key Eastern European US and NATO allies. The nature of fast-changing threat dynamics in Europe, naturally, did not leave time for an extended Army requirements creation process or multi-year weapons development program. Instead, Army acquisition professionals worked aggressively with industry to integrate next-generation technologies with existing platforms for near-term combat benefit. “We are not waiting for requirements but listening to soldiers and adapting quickly to come up with solutions,” Kendall Linson, Business Development Manager, GDLS, told Scout Warrior. Army weapons developers tell Warrior that collaboration with industry and cost-conscious acquisition practices wound up saving more than $20 million in the Stryker 30mm lethality program. This cost savings, Army officials said, allowed the service to start a second upgrade program for remote weapon station improvements that give greater flexibility to employ currently assigned weapons. Specifically, the second upgrade phase includes the integration of a Raytheon-built Javelin, with upgraded optics, onto the current Remote Weapons System. The Javelin upgrade included the integration of under-armor Javelin missile launch systems, giving commanders another option to deploy the anti-tank missile or even more of them at the same time. Overall, Army weapons developers are looking to harvest key insights from the current effort and are already looking far beyond equipping Stryker units in Europe toward a larger-scale fleet-wide upgrade.